Our philosophy of music is that we are all musicians, some called to sing, others to listen, others to play instruments. Whatever your call, there is a place for you here. The purpose of music in Lutheran Worship is to enable the worshiping members of the body of Christ to give praise to their Lord and king and to assist in the proclamation of the Gospel and the celebration of the sacraments. The singing of hymns and liturgical songs is a treasured element of the Lutheran inheritance in worship. Most service books used by Lutherans include a collection of hymns in addition to forms of the liturgy in which liturgical song is embedded. 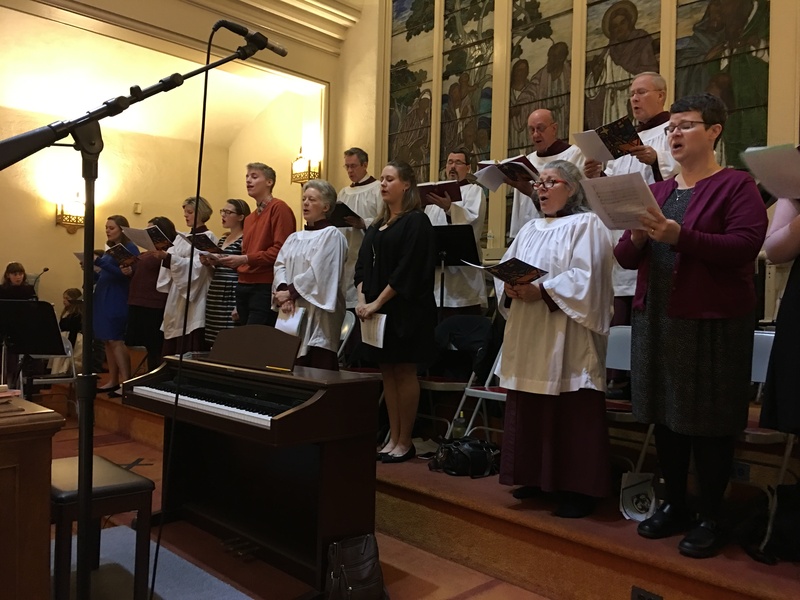 The choir functions not to perform, but to lead the liturgical responses, sing special liturgical responses and offer special songs of praise within the liturgy. The choir is a very special ministry of our church, making a significant contribution to our worship life. If you love the Lord and if you love music, we’d love to have you join the choir. The choir practices each Sunday immediately following the Worship Service (11:30 – 12:30) September through May. Please speak to Valerie Lefever Hughes or any choir member if you are interested in joining the choir.